With its palm-fringed beaches, breathtaking mountains, tropical rainforests, and vibrant culture, Sierra Leone is one of West Africa’s most seductive destinations. 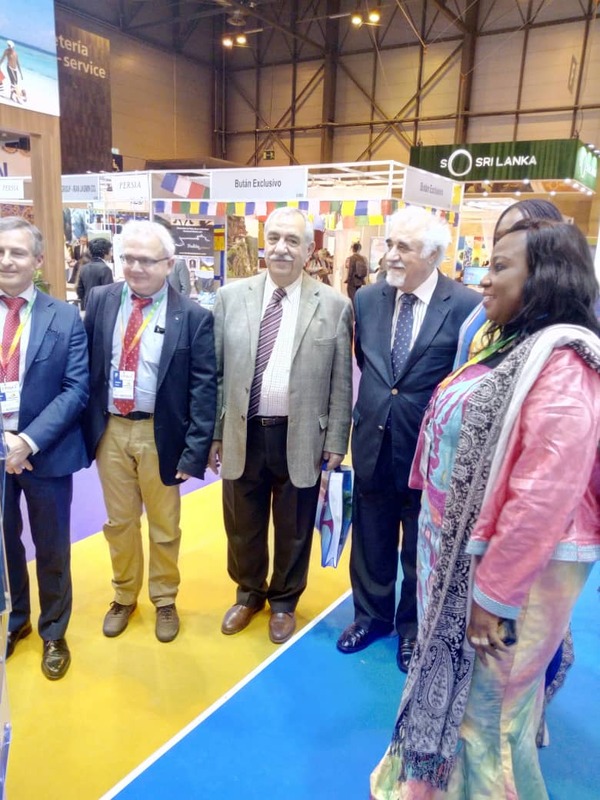 Sierra Leone is on a penetrative entry strategy for the Spanish travel and tourism outbound markets. Therefore, Sierra Leone, last week at FITUR promoting this West African destination. From day one onto day five the Sierra Leone Minister of Tourism Victoria-Saidu Kamara and her team went from meeting to meeting to establish viable networks with other key states minister’s, tour operators, airliners, investors who gave their genuine opinions that indeed Sierra Leone is coming up strong as a new destination. Frank Kohomme a Spanish traveler and operator, explains how Sierra Leone was in the 1980s when he did his honeymoon in Tokeh beach. This is Sierra Leone’s first appearance in the Spanish market. The name Sierra Leone dates back to 1462 when Portuguese explorer Pedro da Cintra discovered the peninsular mountains as he sailed down the coast of West Africa. Some say he named them ‘Sierra Lyoa’ (Lion Mountains in Portuguese) because the roar of thunder rolling over the mountains sounded like a lion, others say it was because of their shape, which resembled a crouching lion. Either way, the name stuck. An English sailor later changed the name to Serraliona and from there it became Sierra Leone. Prior to this, tribes from the African interior had settled in the virgin forest, where they would be protected by the mountains on one side and the sea on the other. They were probably the ancestors of the Limbas, the oldest ethnic group in Sierra Leone, the coastal Bullom (Sherbro), Temne, the Mande-speaking people including Vai, Loko and Mende. After Pedro da Cintra’s discovery, foreign influence in the area increased and trade commenced between the locals and Europeans in the form of a barter system. The British began to take interest in Sierra Leone and in 1672 the Royal African Company established trading forts on the Islands of Bunce and York. With the emergence of the slave trade, human trafficking became the major commodity and indigenes were sold as slaves. Bunce Island became a prime spot for transporting slaves to Europe and America. Through the efforts of philanthropists, Britain abolished slavery and a naval base was established in Freetown to intercept slave ships. Freetown became a settlement for freed slaves in 1787 and was called the ‘Province of Freedom.’ By 1792, 1,200 freed slaves from Nova Scotia and a large number from Maroon in the 1800s joined the original settlers from England. In 1808, the area of Freetown officially became a British Crown Colony and trade commenced between the indigenes and the settlers. This paved the gateway for the British to extend their rule into the outer provinces and in 1896, a protectorate was declared. During British colonialism, Sierra Leone served as the seat of Government for other British colonies along the West Coast of Africa. Fourah Bay College was established in 1827 and was the first college for higher education south of the Sahara. English speaking Africans flocked there and it quickly earned Sierra Leone the title of the ‘Athens of West Africa’ for its early achievements in the fields of medicine, law and education. During their colonial history, Sierra Leoneans mounted several unsuccessful revolts against British rule, and finally gained independence peacefully on 27 April 1961. Under the leadership of its first Prime Minister, Sir Milton Margai, the newly independent nation adopted a parliamentary system of government, later becoming a Republic in 1971. In 1991 civil war broke out and Sierra Leone entered the darkest decade in its recent history. Peace was restored in 2002 and, since then, the country has blossomed. Sierra Leone is on a fast track to development under a multi-party democracy and is hailed as one of the safest countries in West Africa.